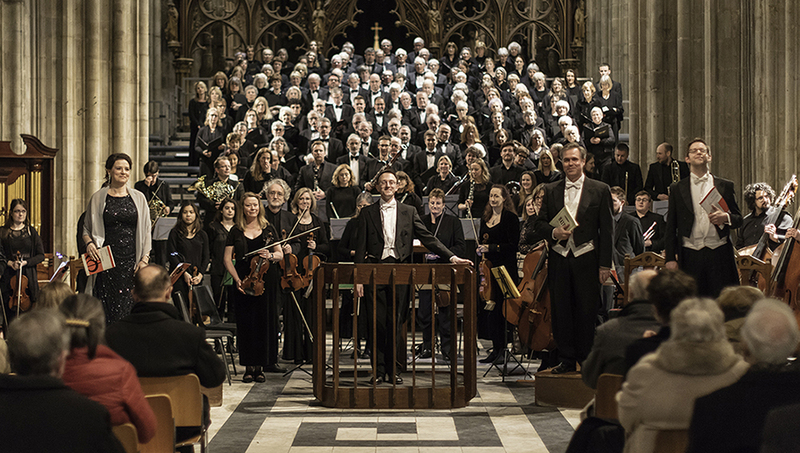 This spring, one of the region’s most accomplished choirs, Worcester Festival Choral Society, is bringing blockbuster choral masterwork, Mendelssohn’s Elijah, to the impressive surroundings of Worcester Cathedral. Brimming with stirring choruses, arias and dramatic orchestral settings, Felix Mendelssohn’s exciting 1846 oratorio Elijah is both tuneful and fulfilling, and bursting with Old Testament fire and brimstone. Telling stories from the life of 9th Century prophet Elijah, the work is a favourite of many choral music lovers. Performing with the 150 members of Worcester Festival Choral Society – many of whom are selected to sing in the annual Three Choirs Festival chorus – will be the Meridian Sinfonia symphony orchestra and acclaimed soloists Susanna Andersson (soprano), Catherine Carby (alto), Ruairi Bowen (tenor) and Edward Seymour (bass). The conductor is Christopher Allsop. Worcester Cathedral Director of Music, Dr Peter Nardone, conducts. Tickets £10 – £25 (some concessions available) from www.worcesterfestivalchoralsociety.org.uk and Worcester Live Box Office, tel: 01905 611427.